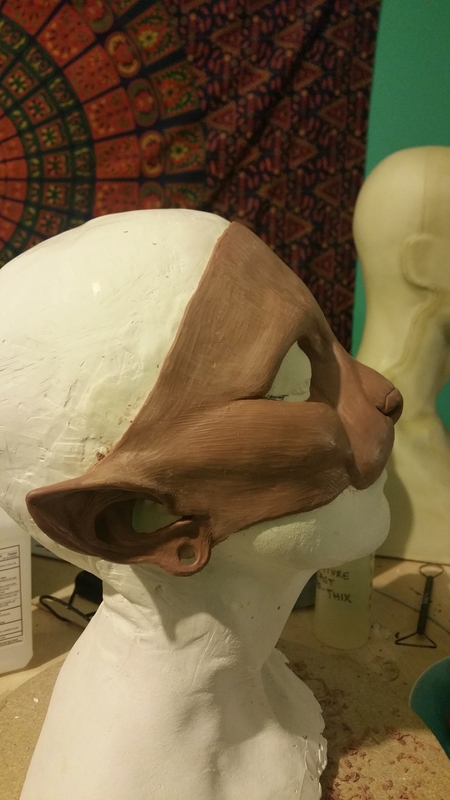 So I've watched the videos on various molds and have been questioning my mask I started sculpting.. I'm really racking my brain over how I'm going to make a mold wall for this once it's done. I'm using ultracal 30 as my mold and I will be slip casting the mask in neoprene, I want it to be a one piece mask like the larp orc masks you see overseas, the only difference is the guy who makes those uses latex and sometimes silicone. I don't know many who have used neoprene, which I'm using because it's allergen free and doesn't have any harsh fumes. 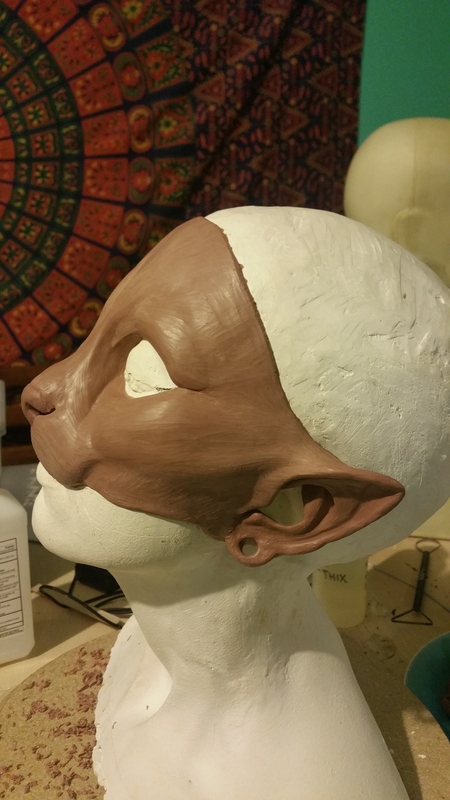 I want to be able to get the front and back of the ears, that's my biggest concern with this mask. The ears should be a pocket so my actual ears can fit inside of them, I don't want them to be open on the backside and most mold videos I've watched show the mold wall stopping at the edge of the ear on whole head sculpture which this is not. 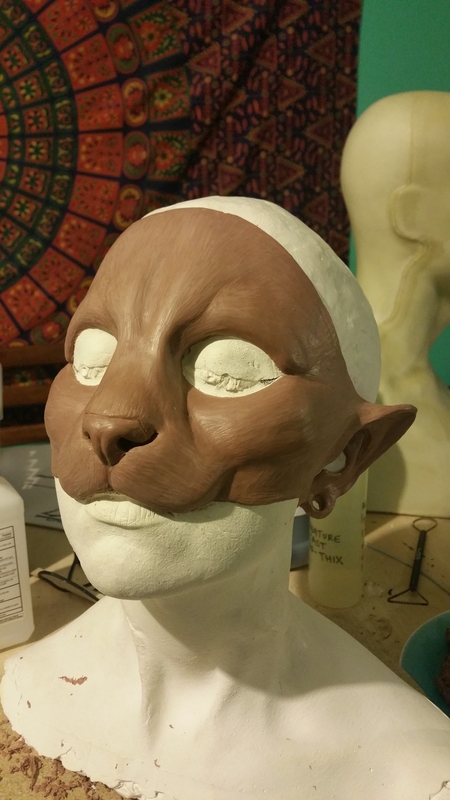 It's more like a partial masquerade mask that's being cast in a slightly more rigid material than latex and silicone. Have you considered molding the entire head form as a two piece front and back mold, and then casting the entire head in neoprene, and then cutting out just the mask part that you want? I guess that would be a lame solution because you'd have to do so much extra work. And I'm not a mold master.